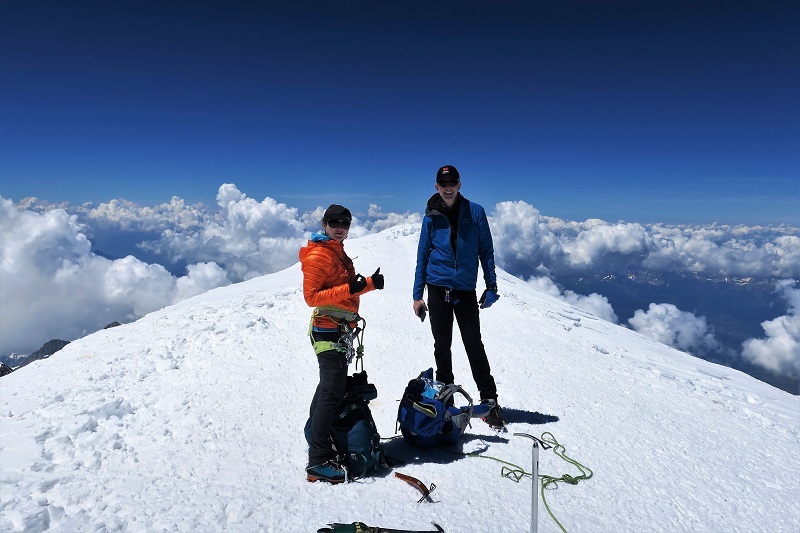 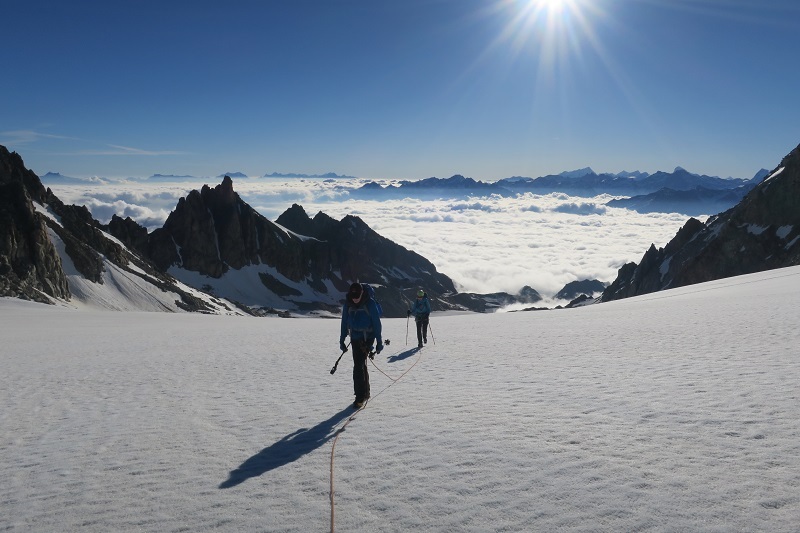 Perfect conditions for our ascent of Mont Blanc this week. 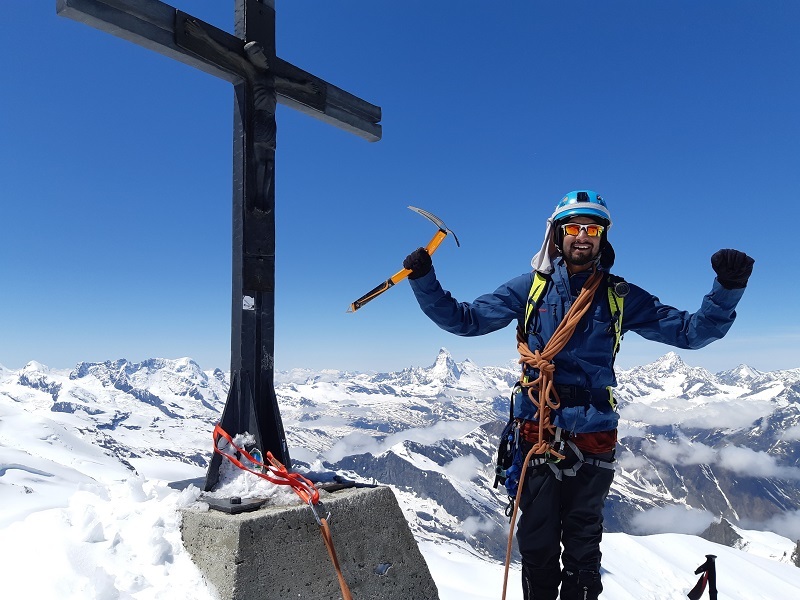 Safe and snowy in the Grand Couloir, but warm and windless up high meaning we could spend half an hour on the summit appreciating the feeling of standing on the highest peak in Europe. 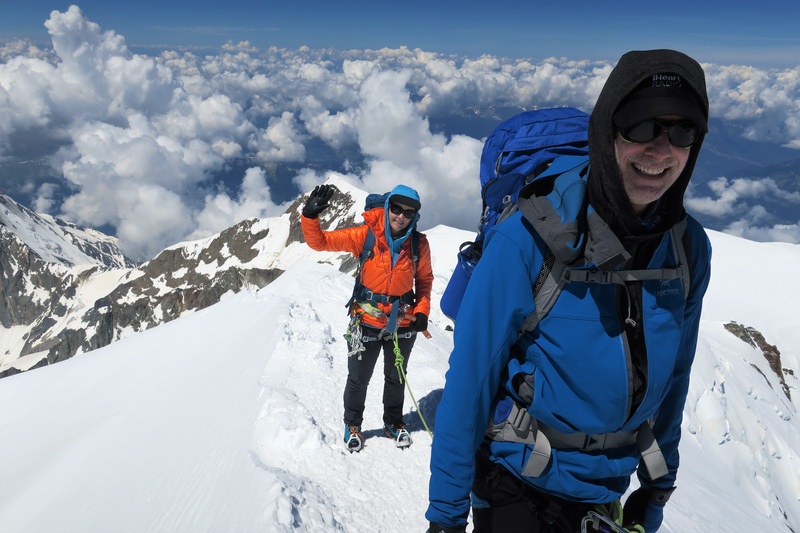 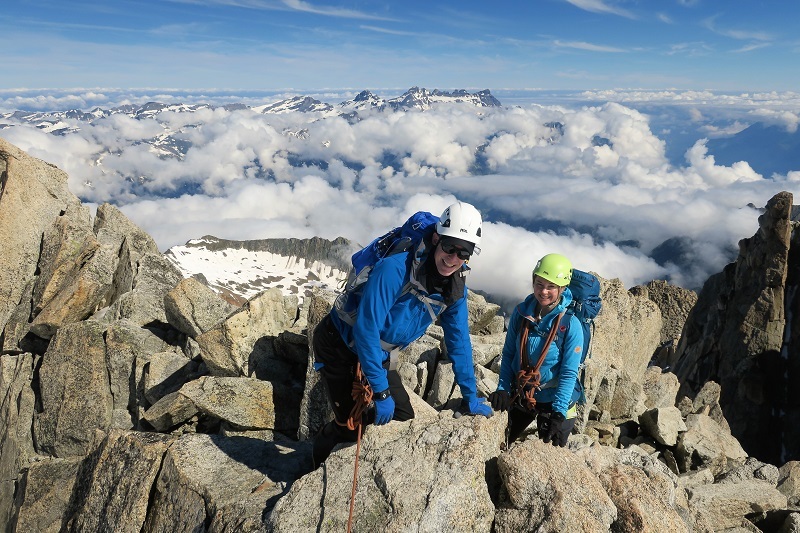 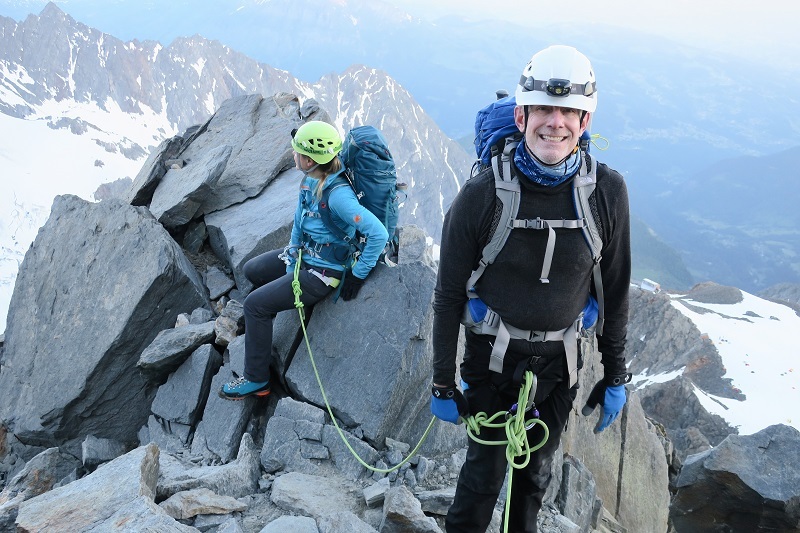 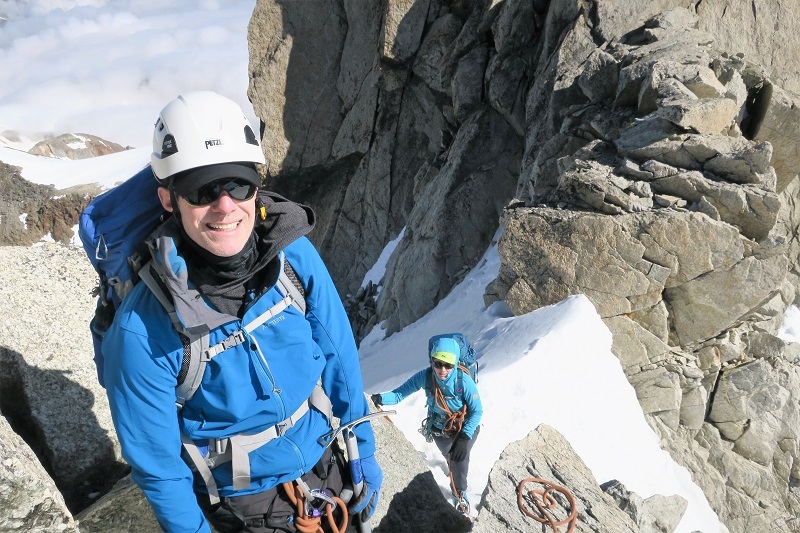 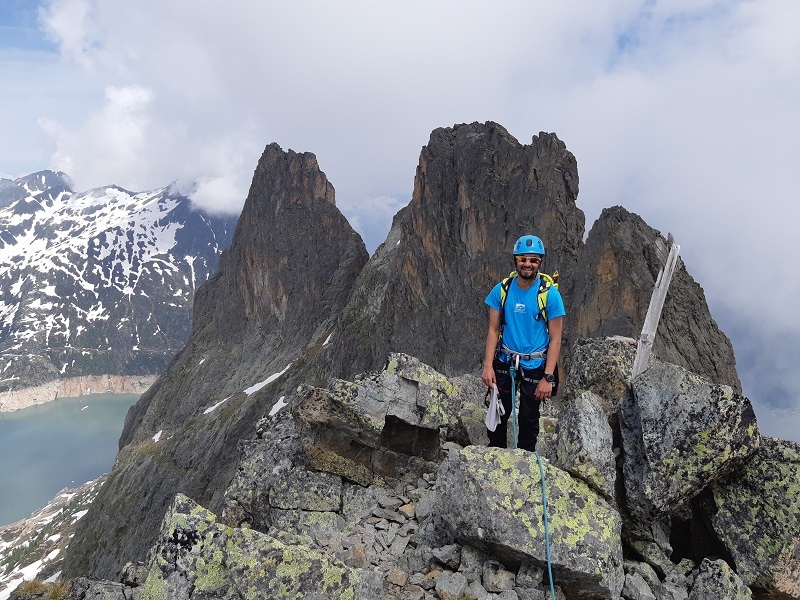 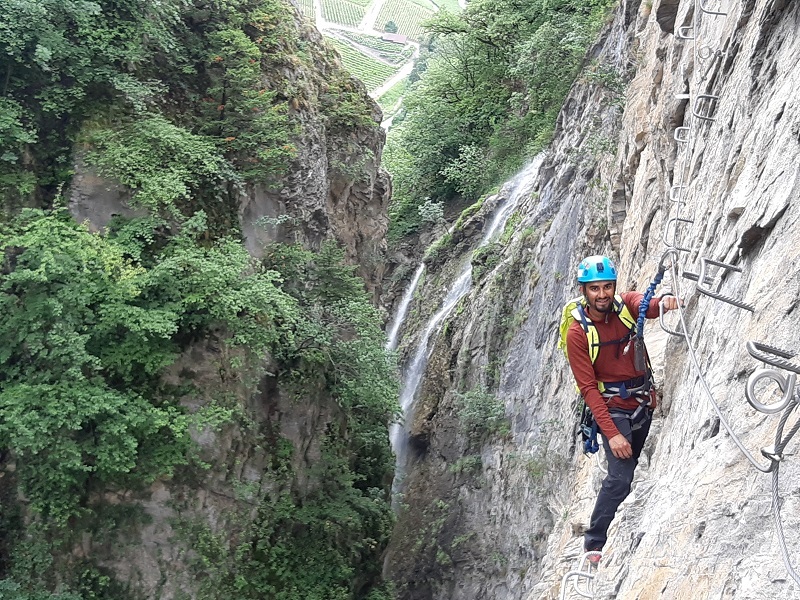 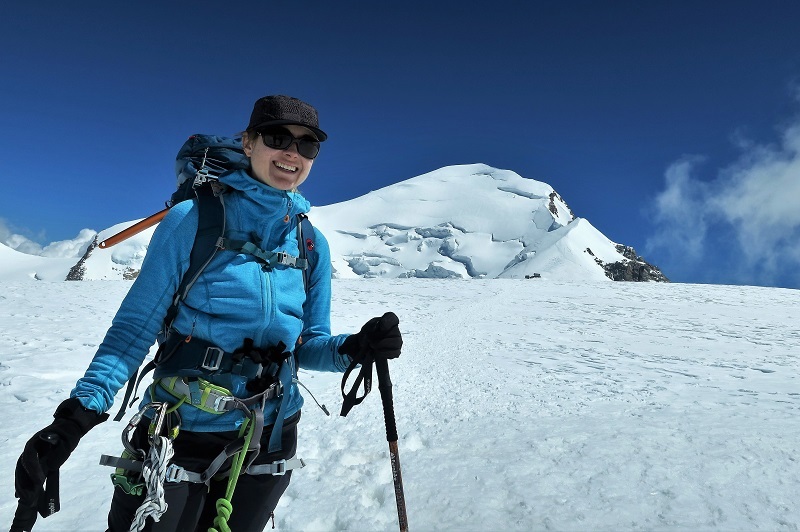 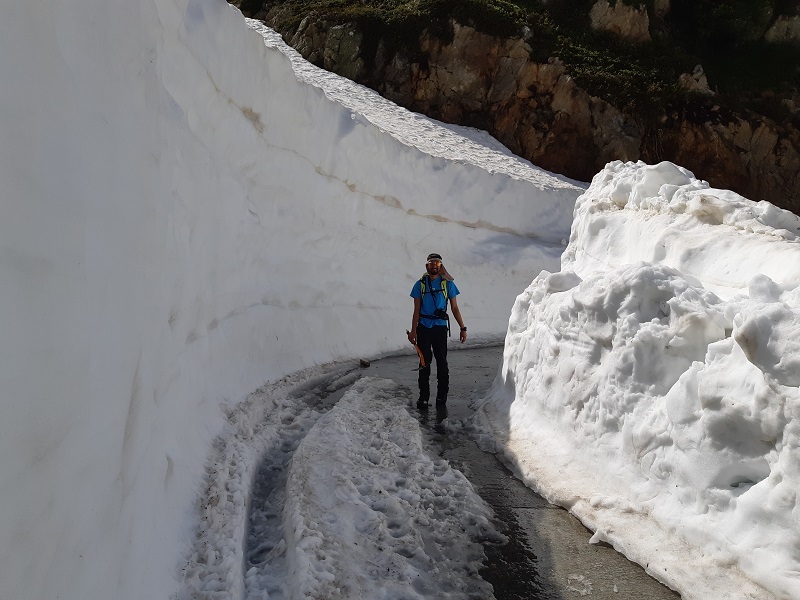 We had 3 days of blue skies for our acclimatising trip around the Orny and Trient huts, where we climbed the Aiguille du Tour and Tete Blanche as well as brushing up on crampon and rope skills - and enjoying the stunning views. 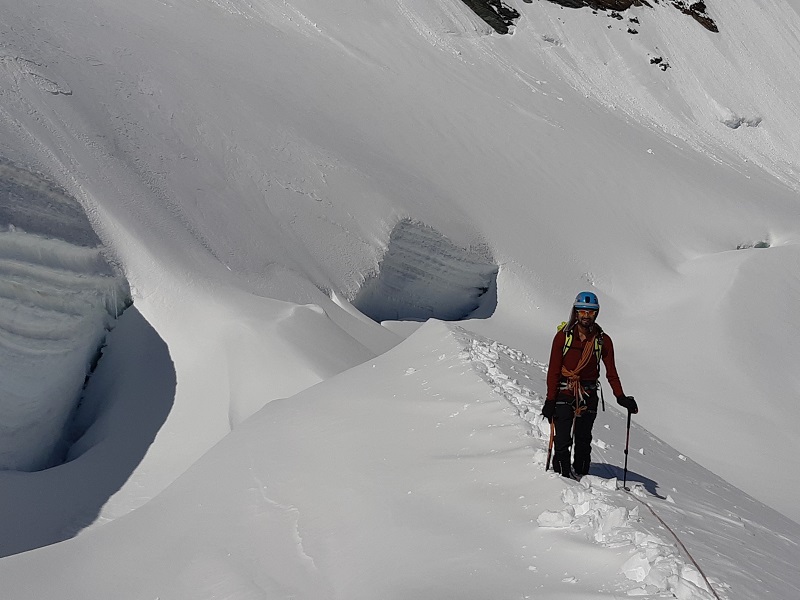 After some more snowfall up high at the beginning of the week and torrential rain in the valley the weather happily turned into gorgeous summer, hot in the valley but cold clear nights giving good re-freezes and some really good conditions. 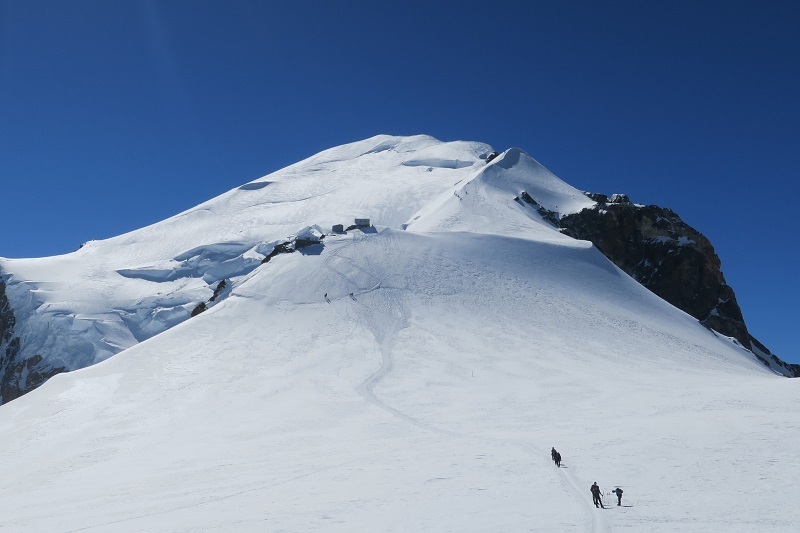 It's still pre-holiday season too, so the hills have been very quiet.